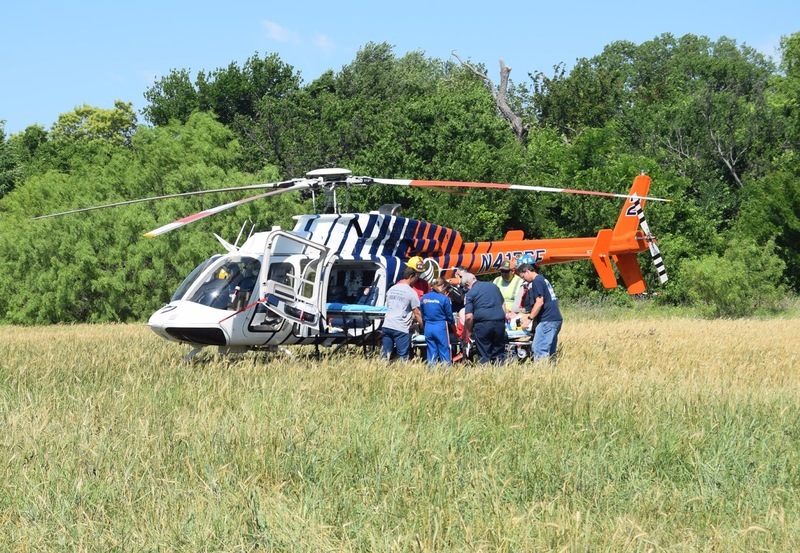 On May 19, 2018, about 0930 central daylight time, a Hughes 369A helicopter, N369GK, struck trees and impacted terrain about 4 miles north of Stoneburg and 8 miles north of Bowie, Texas.. The pilot and three passengers were seriously injured, and the helicopter was destroyed. The helicopter was registered to Longhorn Helicopters and operated by Hogbirds under the provisions of Title 14 Code of Federal Regulations Part 91 as an aerial tour flight. Visual meteorological conditions prevailed at the accident site, and no flight plan had been filed. The flight was part of a guided hog hunt on private property for military veterans. There were four occupants on board: the pilot in the right front seat, the navigator in the left front seat, and two passengers in the rear acting as shooters. According to a passenger, who was seated in the front left seat and was acting as a navigator during the flight, the flight had completed a hunt and a call had been made to safe the weapons. Subsequently, the flight started to return to the landing zone. While flying about 125 feet above the ground a passenger spotted a coyote below the helicopter and notified the rest of the occupants. The pilot made a sudden tight right turn and entered a steep descent downwind to chase the coyote. The flight crossed a road and dropped into the middle of a wheat field. The flight rapidly approached a tree line and the pilot initiated a climb, but the helicopter collided with trees and impacted terrain. The navigator was able to extricate himself from the helicopter and went for help. 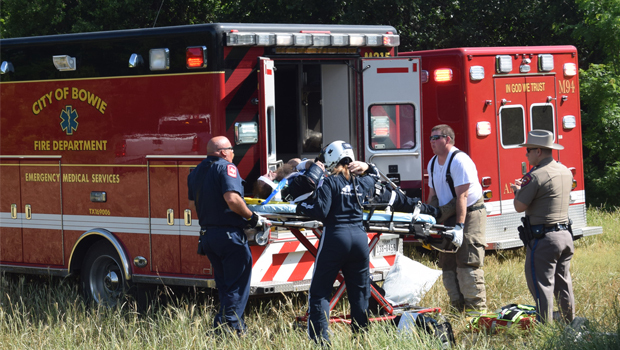 The pilot and passengers were taken to hospitals with serious injuries. The navigator was taken to a hospital with minor injuries. The navigator did not report any mechanical malfunction of the helicopter prior to the accident. Neither the pilot or operator submitted a statement to FAA or NTSB. Reminds me of the hot dogs with the Extra 300s playing combat. They killed at least two innocent customers.They also were operating illegally. Senseless and in need of enforcement action. You can’t make this stuff up. A 600 hour turbine helo pilot out there flying low and recklessly in a 369 with three other “warrior” passengers. Pilot was doing a “ bring on Saigon” type flight to give these guys a thrill. They found out that these type of activities have their risks. Maybe if they want to play army, they should try paintball or video games. Too bad first responders, hospitals, and FAA, insurance, if any, etc, have to expend reasources on preventable accidents. They could all have been killed had machine burned. I noticed on video they had two medivac helicopters there. To bad they couldn’t have used a couple of old Hillers with the skid stretchers on them to haul the team out. That would have been cool. ^ It would have been cheaper too.